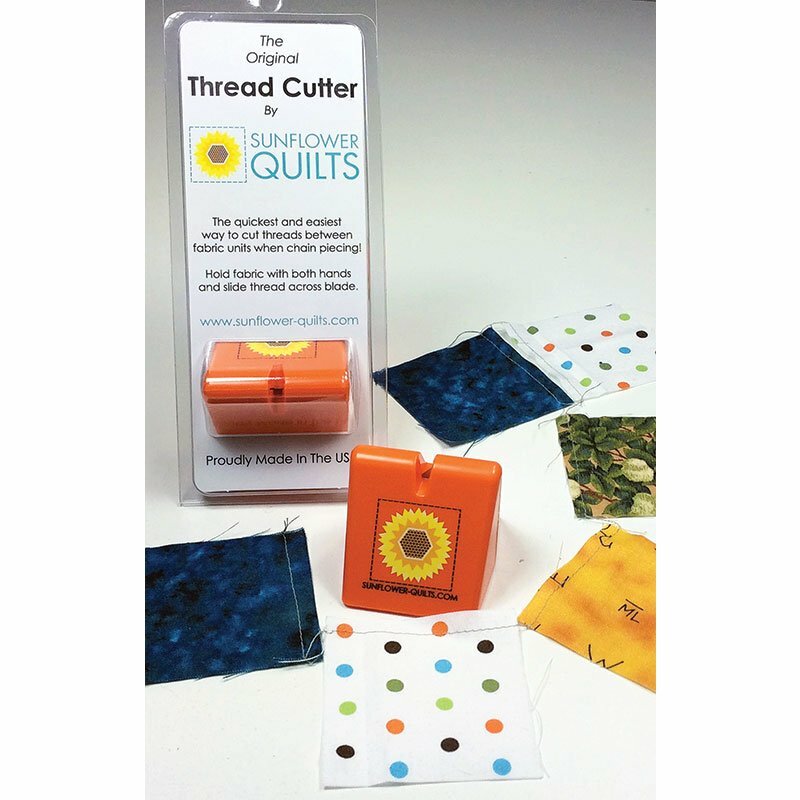 The Original Thread Cutter is the quickest and easiest way to cut threads when chain piecing. Just hold fabric with both hands and slide the thread across the blade. 2-1/4" x 2" x 1-3/4".